This breathtaking Johnathan Kayne Style 9103 will blow everyone away at Prom 2019. 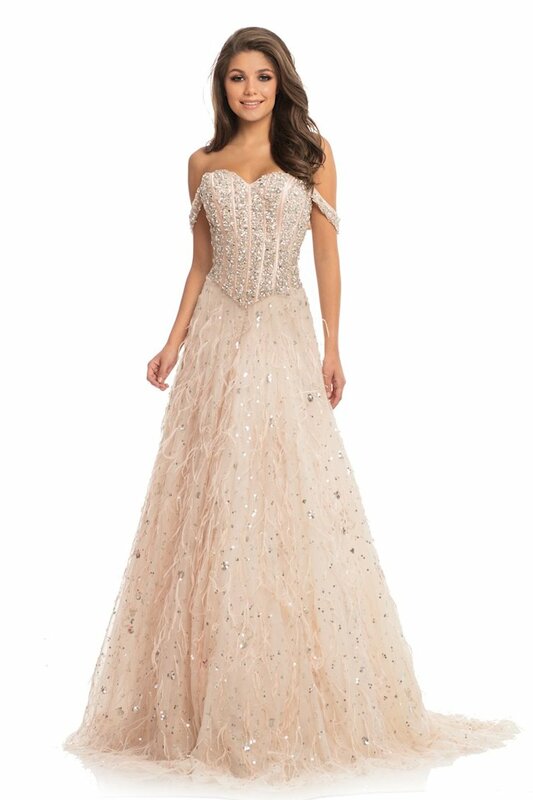 Featuring a Beaded Ostrich feather Mesh gown, fall off the shoulder sleeve and beaded waterfall bodice. Johnathan Kayne Style 9103 is available in Pink only.